It drags on for years – even decades. These people walk a constant path of abandonment, confusion, and overwhelming hopelessness. They fall through the cracks, again and again, while no one reaches in to save them. It is a an eternal despair and a life-altering destitution that few people will ever understand. Living without a diagnosis is nothing short of devastating. Having an undiagnosed disease has a way of turning your entire life upside down. An unidentified force descends upon you and destroys everything you know. The reality you once lived quickly becomes a faint memory. It would help if you exercise! You just need to get out more! You’re just not applying yourself enough! You just need to lose weight! You just need to stop eating so much junk! Their thinly-veiled criticism can feel like nothing more than brazen abandonment and betrayal. Many of your friendships may dissolve, and even your familial bonds may be permanently damaged. Emotionally, you won’t fare much better. Experiencing endless failure at every turn can nearly destroy you. You will be angry, frustrated, heartbroken, overwhelmed, confused, and completely desperate all at once. There are days when you can’t cope with it all, and you just shut down. In the end, all your efforts crumble at your feet. And, often, there is nothing you can do about it. 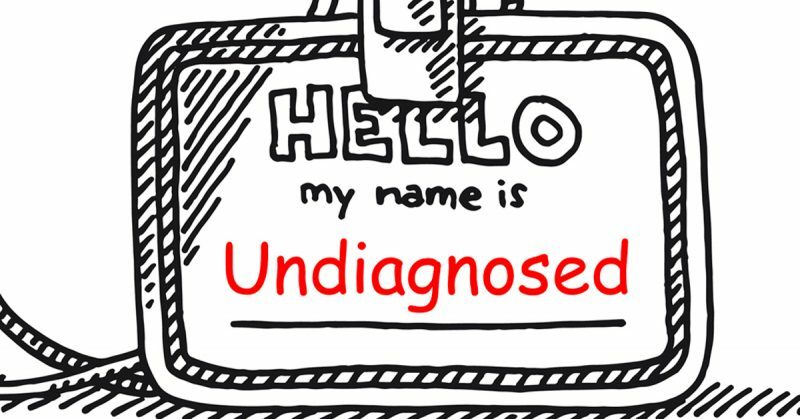 Financially, having an undiagnosed disease can leave you in ruins. People often face enormous medical debt from all the futile attempts to get diagnosed. What’s worse, some people get so sick that they can no longer work. Then the savings dry up, and they’re left with nothing. It becomes a struggle to avoid bankruptcy and homelessness, all while being sick, uninsured, and feeling abandoned. All because you can’t get a diagnosis. When you don’t know what’s making you sick, it can be difficult to treat the issue. Sometimes, the tests are all negative. Sometimes, your symptoms are nonspecific. Sometimes, the doctor just doesn’t know, and neither does the specialist. What then? Your only choice is to stay sick, miserable, and without options. At some point, the logical step would be to apply for public assistance. Disability and Medicaid are usually good options. But when you don’t have a diagnosis, you cannot get disability. And many states did not approve the Medicaid expansion, so that’s not possible, either. There simply is nothing you can do. Living without a diagnosis is not just about having a name for your symptoms. Being undiagnosed is a staggering problem that destroys every facet of your life, rotting you from within. It can get so bad that it feels like a slow death that isn’t humane enough to let you die. When it reaches that point, and it does to so many, it’s a darkness like no other. I’m so thankful that I discovered CrowdMed, the only place where I felt like my plight was actually heard and dealt with. But there are so many out there who are still suffering, and in need of sites like CrowdMed. Doctors always say, “When you hear hoofbeats, think horses, not zebras.” But zebras make hoofbeats, too. And it’s time for the world to see your stripes. Click here to find out how CrowdMed can help you if you have been undiagnosed for years.